We Believe that service to our fellow human beings is life’s highest calling. Our goal is to provide comprehensive care and to consistently deliver our best option and long-lasting dentistry for each patient. Continuing education is the foundation for success. Increased knowledge allows for better decisions, practices and relationships. It is not the number of years that defines our experience but the number of complex cases handled by our doctor. As a specialist in implantology, Dr. Keerthi Senthil has treated a vast number of complex cases which makes her one of the most reliable doctors in the field. We are equipped with latest technological devices. 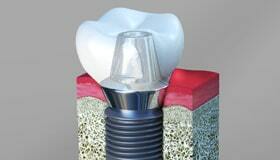 We use state of the art 3D cone beam scanner (i-Cat Flex) to evaluate your jaws and enable precise implant placement. Our 3D printer allows us to visualize the anatomy of complex cases prior to surgery. Smile Guru is a beautiful stand-alone, state of the art dental practice, which has ample large area for our patients and family to relax while waiting. 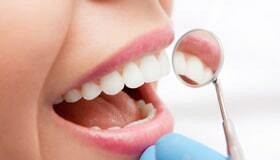 We offer a wide range of modern dental services to help you achieve excellent dental health. Welcome to Smile Guru! We take pleasure in inviting you to our sister branch in Cathedral City CA. Please take a few moments to browse through our website to know more about our team and services. At Smile Guru, we focus on a variety of dental treatments such as dental implants, cosmetic dentistry, sleep apnea, periodontal care and much more. It is our mission to address and educate our patients about the treatment options which best suits them. Achieving an attractive smile shouldn’t be difficult now, at Smile Guru we make it simple to achieve beautiful and a healthy smile. Whether you are looking for information on dental implants, cosmetic dentistry, emergency dentistry or any dental need, you can learn more about our dental services from our website. Cosmetic Dentistry: Cosmetic Dentistry is a method of professional oral care that mainly focuses on improving the appearance of a smile. The various types of cosmetic dentistry procedure are Teeth Whitening, Dental Veneers, Dental Bonding, Dental Crown, Inlays and Onlays, Implants. Dental Implants: A Dental Implant is a replacement of tooth root that is surgically placed into the jawbone beneath the gums. These are done for both permanent or temporary replacement of teeth based on the match to your natural teeth. It also provides benefits like improved speech, appearance, and self-esteem. General Dental Care: General Dentist helps you in providing good oral health care that is uniquely oriented towards the prevention of disease. General dental care is provided to people of all ages. 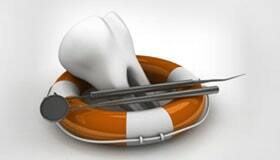 Our general dentist offers timely dental care for all your emergency dental needs. With our emergency dental care, you can preserve the teeth and its function while minimizing the risk of infections that can have long-term consequences. Preventive dental Care: Preventive Dental Care is oral care that involves the practice of caring for your teeth and gum to keep them healthy. These help to avoid gum disease, cavities, enamel wear and more. There are many ways to undergo preventive dental care like daily brushing, dental cleaning and regular visit to a dentist. Oral Surgery: Oral Surgery mainly focuses on injuries and damages to teeth, mouth, and jaw. Conditions which require oral surgery are Impacted teeth, Tooth loss, and Jaw related problems. Pain-Free Dentistry: Some people have the fear of visiting a dentist. But as technology has advanced pain free dentistry has become a reality. 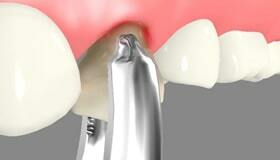 For those who fear an injection, an anesthetics gel or spray can numb the area before any dental treatment begins. 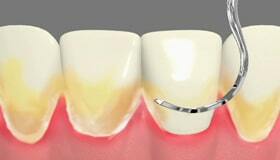 Periodontal Care: Periodontal care mainly involves the treatment and diagnosis of periodontal disease. Periodontal means "around the tooth", likewise this periodontal care mainly focuses on the gums and bone that supports the teeth. Emergency Dentistry: Any injury to the mouth that may cause bleeding and open wound to the gums and fracture teeth, will require immediate dental care. If this is left untreated it can lead to serious complication. Our dentist and team are dedicated to providing quality dental care to your individual attention. We strive hard to offer a personalized oral care tailored for your dental needs. We ensure to create a pain-free dental experience. Your comfort and dental health are our prime concern. We do what it takes for us to know more about your treatment options, symptoms, dental needs and goals in a relaxed office setting. We further commit utilizing the latest technology by constantly upgrading our office with the latest dental products. Searching for the best dentist near you? Our experienced team provides comprehensive dental care for all your dental need. We serve the people of Cathedral City CA and other surrounding areas such as Palm Springs, Thousand Palms, Rancho Mirage, Palm Desert, North Palm Springs, Desert Hot Springs and Sky Valley. Our experience dentist has a complete solution to all your dental issues and needs. If you ever have any dental issues or want to know more about our dental services, feel free to talk to us, we are always happy to hear from you. We care about your smile and dental health and we look forward to making your every visit to our Cathedral City dental office a positive experience.